Following a board meeting, Real Madrid football club have announced that a press conference will be held tonight. The Press conference will be held at the Bernabeu and it is unclear what club President, Fiorentino Perez has up his sleeves. 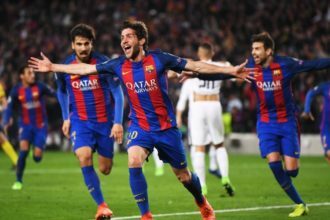 Real Madrid suffered their worst ever El Classico defeat on Sunday after a merciless 4-0 drubbing at the hands of Barcelona. Gaffer Rafa Benitez will obviously be under some scrutiny but it seems unlikely that he will get the boot after less than four months in charge. However, Real Madrid have been known to be notoriously impatient with their coaches and a sack wouldn’t come as a huge surprise.